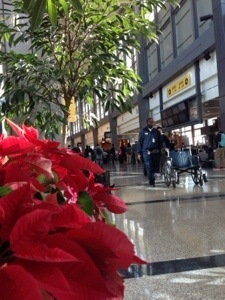 So, this is what Christmas Eve looks like in the Austin Bergstrom Austin International Airport. Travelers headed out to all over the world to see their families. Safe travels and Merry Christmas! !